Farmers There are 34 products. Xiao Zhu is young farmer from Yi Wu. He is the 3rd farming generation in his family. was looking for the growing business options. He realized potential of his tea and set up his own small brand. Young couple from Feng Qing used to sell the fresh green leafs from their tea garden to the local big tea factory. Didn't take long when they realized options of their own tea business and set up a small tea manufacture. but as we observed their garden with production , there is no sign of chemicals, pesticides. there are some nice teas coming out from Mr.Wu "kitchen" and we are happy to cooperate with them. but they also buying green tea leafs from the other farms or gardens with Gu Shu trees. but few years later he decided to do only his own stuff with family. so that is the name of their new brand. Liu's family live in Wudong village located on Wu Dong Shan which is part of the Feng Huang Shan - The Phoenix mountain ( one of the main areas producing Dancong tea ). Liu's family keep the tradition of processing tea for four generations and in his tea garden you can find tea trees over 200 years old. 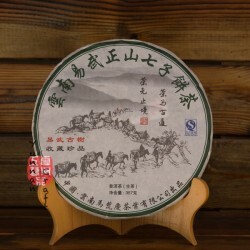 Whole family is engaged in the Dancong production business and we directly cooperate with them. Smell of summer flowers coming out from gai wan. Tea soup is clean, mellow and slightly bitter. Slight astrigency can be experienced after few drawings but overall taste is sweet and hui gan is guaranteed. Within first infusion u'll get nice bitter & sweet tea liquor with gentle touch of plums. Very good autumn tea from Yi Wu arbor trees leaving sweet mouth feel. Nice woody scent comes out from hot gai wan before the first brew. Slightly bitter but turns sweet after few sips. Clear tea soup fill your mount with gentle sweetness in few second. Slow hui gan. 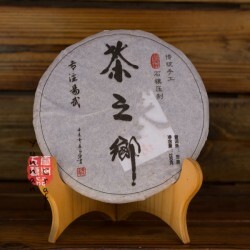 Medium pressed tuo from Yiwu spring material has a little touch o wet storage. Overall taste is sweet with slight bitter sensation. 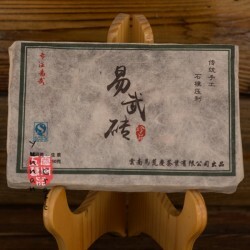 Very intensive hu gan lasting for long time along with sweet mouth feel. 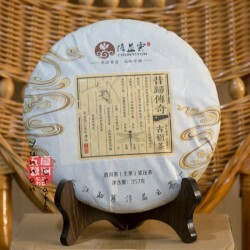 Nice scent of sweet plums and honey is released from this autumn tea cake. No astrigancy or bitterness and light sweetness is coming around after the first infusion which escalating with each followed steeping. 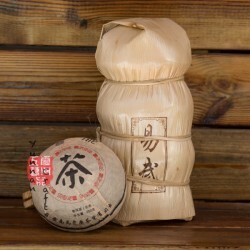 Pleasant "cha qi" and with increasing infusion time gets slightly bitter so increases the sweetness. Intensive honey-chrysanthemum fragrance is released from this tea . Clean bright yellow tea soup is quite bitter but not astringent. After first cup sweet sensation starts to linger under both sides of the tongue. 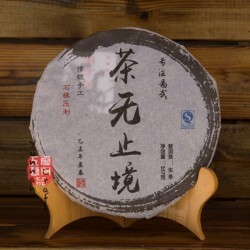 Nice bitter sweet autumn sheng pu for decent price. Usual honey scent comes out from the hot pitcher or cup after very first infusion. Hui gan is very fast and so the sweet mouth feel. Clean tea liquor is gently bitter but not astringent.